Does your mother love trendy places? 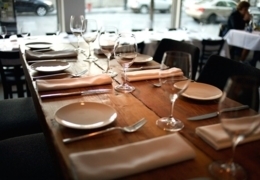 Take her to Restaurant Lawrence on Saint Laurent Boulevard. Lawrence offers brunch with some typical English dishes and other more traditional dishes. Try the delicious, oven-fresh scones with jam and clotted cream. If your mom is a fan of cozy little cafes, then the thousand and one lights in the window and pretty vintage décor at Fairmount Avenue’s popular Arts Café may be the perfect fit. On the menu you’ll find several classics like French toast, eggs Benedict and the smoked salmon bagel. Located on "the Main", Sparrow transforms from a pub into a "brunch" restaurant every weekend. If your mother loves original brunches, the cuisine at Sparrow will surely please her! The menu includes a Turkish breakfast plate, steak & eggs, and a breakfast Bánh mì sandwich. Several cocktails and mimosas are also available. If tea is tops with your mom, then you can’t go wrong with the splendid tea room on the second floor of Sparrow. Salon de thé Cardinal offers a savoury and sweet menu and a wide selection of tea available in three sizes of teapots. 5200 rue Hutchison, Montreal, QC H2V 4B3 While your mom would undoubtedly appreciate a trip to Paris for Mother’s Day, it’s probably not something your bank account will appreciate. A solid second-best is a visit to La Croissanterie Figaro for a Paris-eque brunch. Sit down to pancakes with ham and cheese, and fresh fruit, as well as the "bonjour" plate, which offers an egg on a croissant. Fabergé is a restaurant that is entirely dedicated to breakfast. With its urban and modern decor, Fabergé offers a casual atmosphere good for a relaxed brunch with Mom. 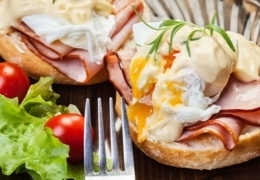 On the menu: delicious eggs Benedict, as well as some innovations by Fabergé such as oeufs dans l’ trou ("eggs in the hole"), fried chicken and waffles, and the famous poutine Matinale ("morning poutine")! As its name suggests, La Petite Adresse is a small but friendly restaurant located on Park Avenue. For brunch, there is a choice between a basket of pastries, pancakes, œufs en cocotte and more savoury dishes. With its rustic decor, La Petite Adresse will charm your mom! 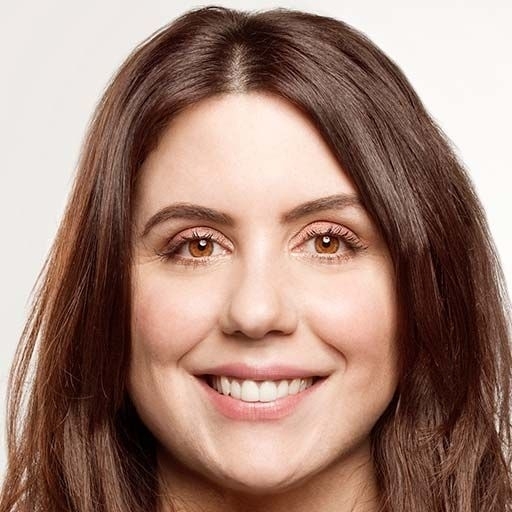 Julia Vallelunga is the editor and founder of À la mode Montréal. Passionate about decor and travel, she loves discovering great finds around the city. When she can’t find what she’s looking for, she makes it herself! Learn more about her decor tips on her website. You can also find Julia at the Jean-Talon market or in a café in Villeray! Considered the cultural heart of the city, the Quartier des spectacles has become one of the liveliest neighbourhoods in Montreal since the redevelopment of the Place des Festivals. It has eight public spaces that host an average of 40 festivals per year. Here is a list of restaurants where you can enjoy a bite to eat before or after your outing! Mother's Day is fast approaching, and for many that means it’s time to invite their favourite Mom out for brunch! Whether it is for "deux œufs miroir" (two eggs fried in butter, served in a pan) or a croque-madame with béchamel sauce, you have an amazing variety to choose from in Montreal. Here are a few restaurants where you can enjoy brunch in Rosemont-La Petite-Patrie. 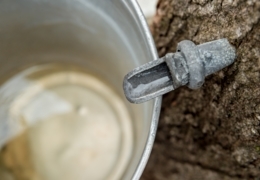 Maple sugaring time is fast approaching! Enjoy some quality family time at a typical cabane à sucre, enjoying dishes like baked beans, eggs, pancakes, oreilles de crisse (a traditional Quebec dish consisting of deep-fried smoked pork jowls) ... and of course maple syrup. Where are the top sugar shacks near Montreal? This list will show you the way!